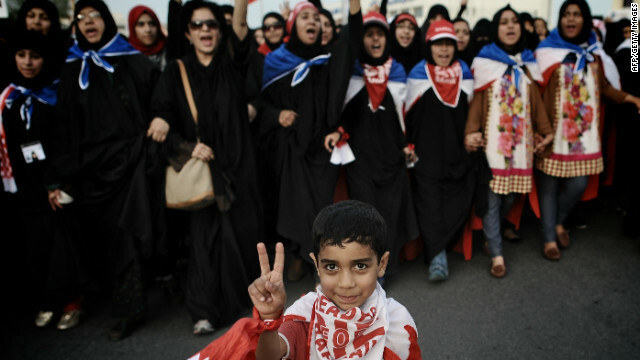 Is Bahrain serious about reform? Editor’s note: Sarah Leah Whitson is the director of the Middle East and North Africa Division at Human Rights Watch. The views expressed are the writer’s own. Bahrain’s Sunni ruling family and their allies in Washington and London say they are pinning their hopes on a new “national dialogue” to break the bitter stalemate with the country’s political opposition among the majority Shia population. But a just settlement will remain elusive unless the government delivers on two outstanding reforms: accountability at the highest levels of the country’s security forces for their abusive response to the 2011 uprisings, and freedom for the country’s unjustly imprisoned opposition and human rights leaders. This tiny island country of 500,000 citizens, 600,000 expats and 15,000 personnel of the U.S. Fifth Fleet, convulsed by five weeks of mass demonstrations in 2011, has received its fair share of international attention over the past two years. Per capita, the participation of hundreds of thousands of the country’s citizenry may have set some sort of world record for mass protests – what other country can claim to have had most of its population out on the streets protesting at one time? The uprising ended when the rulers declared a state of emergency and army and security forces, assisted by Saudi troops, attacked demonstrators congregated in the Pearl Roundabout and rounded up activists in midnight raids on their homes. Scores were killed, hundreds injured, and thousands arrested among those who demanded reform and, in some cases, regime change. The government lifted a state of emergency in June 2011, but still bans demonstrations in the capital. Protests in surrounding Shia villages, in some cases violent, continue nightly, as police play cat and mouse with defiant young men throwing stones and Molotovs and bombard neighborhoods with tear gas canisters. Despite the ongoing repression, the government seems to think it can persuade Western allies that a real reform process is under way. In late February, my colleagues and I visited Bahrain. At an Interior Ministry meeting attended by – among others – the former Miami police chief John Timoney, who is advising the government, the new police commander, Brig. Tariq Hassan, gave a power point presentation. He highlighted the establishment of an ombudsman office, and enhanced police training (while also touting Bahrain’s support for women’s right to vote and women in Parliament). The interior minister, Shaikh Rashid bin Abdullah Al Khalifa, stressed the kingdom’s general support for peace and security. But on the results of internal investigations into the policing failures in 2011 – the topic we insisted on pursuing, no doubt to the frustration and annoyance of the ministry representatives – there was little to report. After exhaustive questions and discussion, the minister finally confirmed that out of all the internal investigations they had conducted, not a single official above the rank of platoon commander in the police, and battalion commander in the criminal investigations division, had been found responsible for any breach of conduct or reassigned, demoted, suspended, or terminated under internal guidelines and procedures. The international experts appointed by the king to the Bahrain Independent Commission of Inquiry concluded more than a year ago that it would have been impossible for the abuses in 2011 to have happened without the knowledge of senior officials, yet the government maintains that no senior official did anything wrong. And it seems unwilling or unable to recognize that an essential component in restoring trust in the police force is to demonstrate that senior level security officials who failed in their duties are at least removed from their jobs, if not prosecuted. What’s more, the government seems unwilling to recognize that its national dialogue will hardly lead to a just result so long as the leaders of the country’s opposition and human rights organizations are not at the negotiating table. Instead, they are languishing in prison following coerced confessions and patently unfair trials. “You can’t have a real dialogue when parts of the peaceful opposition are in jail,” President Barack Obama said in 2011, addressing the situation. By allowing us to visit the prison and meet and photograph these detainees, the government amply demonstrated that it appears to be detaining these men in humane conditions. It was both a relief and heartbreaking to see Abdulhadi al-Khawaja, Abduljalil Al-Singace, and Nabeel Rajab, three human rights activists who have worked with Human Rights Watch for many years – it was they who urged us to stay steadfast in our commitment to peace and reform in Bahrain. But the fact is that they are in prison solely for calling for political change and demonstrating peacefully. It was very difficult to tell the detainees that, in fact, there is virtually no international body that can compel the government to release them. It now depends on the king to realize that their ongoing imprisonment will keep the country imprisoned in conflict as well. Next entry »Can pope bridge gap between America and Rome? This kind of handwringing implies that the US is not serious about Bahrain's human right abuses. If the US was serious it would fund islamic militant terrorists to destabilize the whole country like in Syria. But Bahrain is a strategic ally, so human rights are not a problem. Well stated, matslats and so very true too! The right-wing thugs in Washington couldn't care less about human rights although they claim to do so. The King of Bahrain is no more than a stooge for Washington! The president i US are a democrat, not a rightwing. Please get updated! Shame on Washington!! fake caring about human right abuses. Thank you salra, how true that rings! These comments show none of the writers have lived in Bahrain. It is easy to read some article and generalize the situation and compare it with other countries. But what is at stake? Bahrain is a special case where there is already an elected parliament with special powers. Instead of solving problems through the system a bunch of hooligans paid for by external sources are making life hell for peace loving people. So unless you live here and you know the real facts please save us all the commentary. The author's doubt isn't out of the blue. Last month several policemen, claiming self-defence had been acquitted of charges in the deaths of protesters in 2011. Jermaine Jackson the famous American singer who sang song's from A Lover's Holiday, and his brother Michael Jackson who song's with his brother Jermaine, have delighted audiences in America and across the world including Bahrain which respect the Jackson family for their music contribution to their society. Jermaine Jackson who converted from being a Christian to the Muslim faith with his wife, and he enjoys frequent trips to Bahrain which is the most open minded country to Western travelers and respect Western democracy as well. Being an American European who has traveled to Bahrain and to the other Middle Eastern country's, they young citizen's of Bahrain want better time for their country from being able to vote and having more rights' for women in their country which is on the edge on becoming more like the United States of America. As American's we live in the world's open minded country that respect's all cultures and religions, which can live in peace and work for the good old American Dream having a job which supports the young family who want to own a home and buy another car for the family household. Without Bahrain becoming more pro western like the United States of America, will we have a nation like Bahrain is stuck in the past which believes in going back in time with young men and women's right's for years to come.